Join the Circle of Patrons* today and receive Two Free Tickets to this year's members only party! 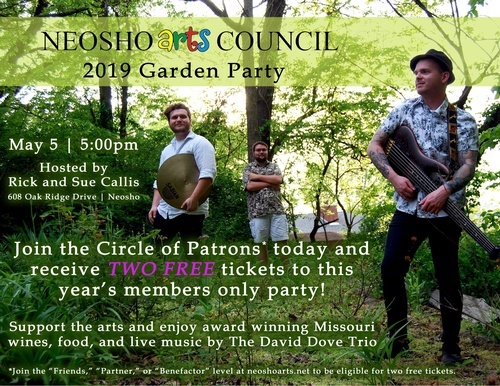 Support the arts and enjoy award winning Missouri wines, food, and live music by the David Dove Trio. 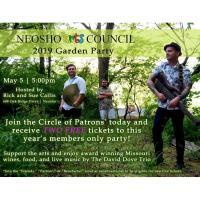 *Join the "Friends," "Partner," or "Benefactor" level at neoshoarts.net to be eligible for two free tickets.